A recently refurbished apartment that sleeps 5 comfortably ideally situated close to the Phoenix Park and Botanic Gardens.This is a modern City stay with all home comforts. Within easy reach of all the fabulous restaurants, museums, parks, Aras an Uachtarain, Farmleigh House and of course shopping that Dublin has to offer. Easy walk to numerous bus stops train staions that will connect you with the Luas which will connect you with all of Dublin. Ideally located to visit the famous Bloomsday festival held every year in Dublin's fair city in June. Fans of James Joyce can be seen around the city dressed up in Edwardian outfits to celebrate the authors main character from the novel Ulysses, Leopold Bloom. It's a wonderful sight. There is a major supermarket within a 5 minute walk so you will never run out of essentials. The apartment is in a beautiful large red brick Victorian building on a tree lined street. There is one bedroom with a double bed and a single bed. In the living room there is a leather pull down sofa that makes another double bed. There is a separate kitchen and dining area and of course a bathroom. 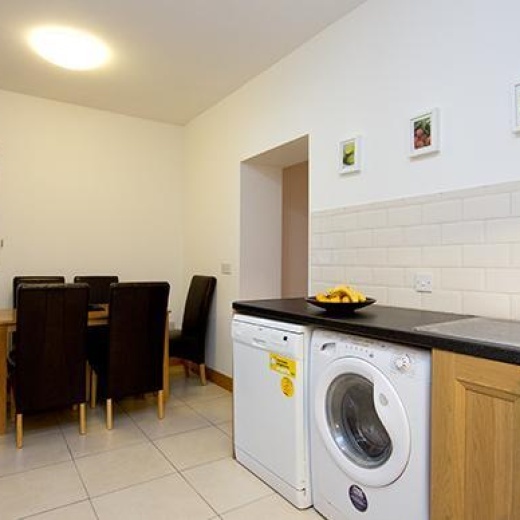 There is fridge freezer, microwave, dishwasher and washer dryer so that anyone can enjoy all the comforts of home.